After earning his comedy wings on the stages of Vancouver, New York, and Los Angeles, Adam Pateman has appeared in his own half hour comedy special on CTV and The Comedy Network and has been featured in various comedy festivals, TV series, and films. In 2009, Adam won Vancouver’s People’s Choice Comedy Competition and has since been a featured performer in the Out of Bounds Comedy Festival in Austin, Texas, The Vancouver Comedy Festival, and on XM Radio, Rooftopcomedy.com, and Funny or Die. Adam is also a frequent guest on Graham Clark and Dave Shumka’s top-rated podcast, Stop Podcasting Yourself, and he has also appeared on CFRO’s What’s So Funny with Guy McPherson and Glynn Washington’s Snap Judgement on NPR. Aside from his career in comedy, Adam Pateman is also an actor, writer, editor, and producer. His acting work include roles on FOX’s Lucifer, Channel 101’s Fed Up, the films Nightmare at the End of the Hall, Rules to Move By, and Barbie in Princess Power, and a slew of TV commercials in Canada and the US. Adam’s has written and worked post-production for documentary series on CBC, History Television, HGTV, and on an animated project for YTV. 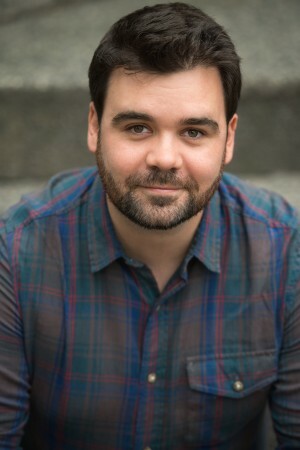 His comedy writing and producing credits include various short films, web series, live comedy shows, one-man plays, and development projects, including Roll For Damage, a series pitch for CBC’s Comedy Coup, which was rated top 15 out of 700 projects. Adam Pateman likes bull dogs, fresh towels, caramel, Pembroke Welsh corgis, mustard, cast iron cookware, temperate rain forests, drawing, egg nog, 1960’s Bollywood, camping, soup, time travel, and ferry rides. He does not like apples, but he will tolerate eating them in a pinch.